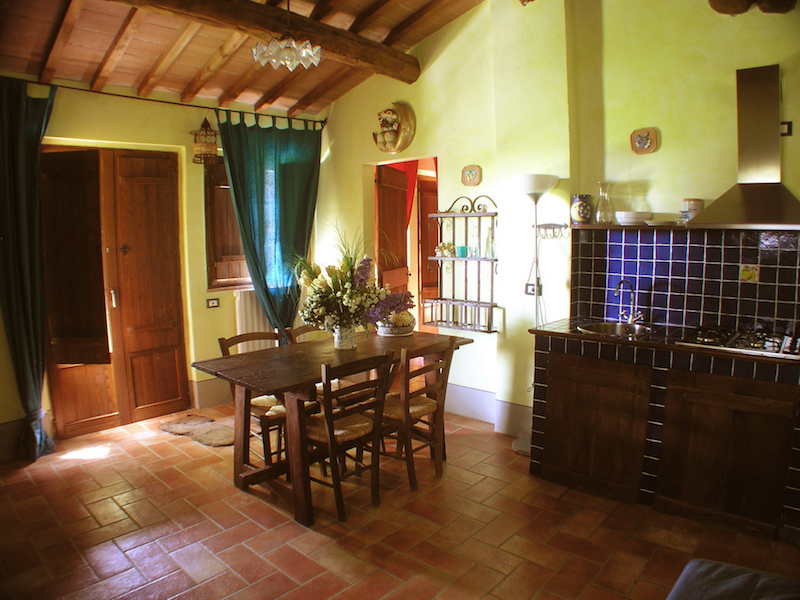 Limonaia is a small independent house of 35 sqm, located in the garden on the ground floor, 30 meters far from the swimming pool; it has a wooden pergola covered with wisterias. 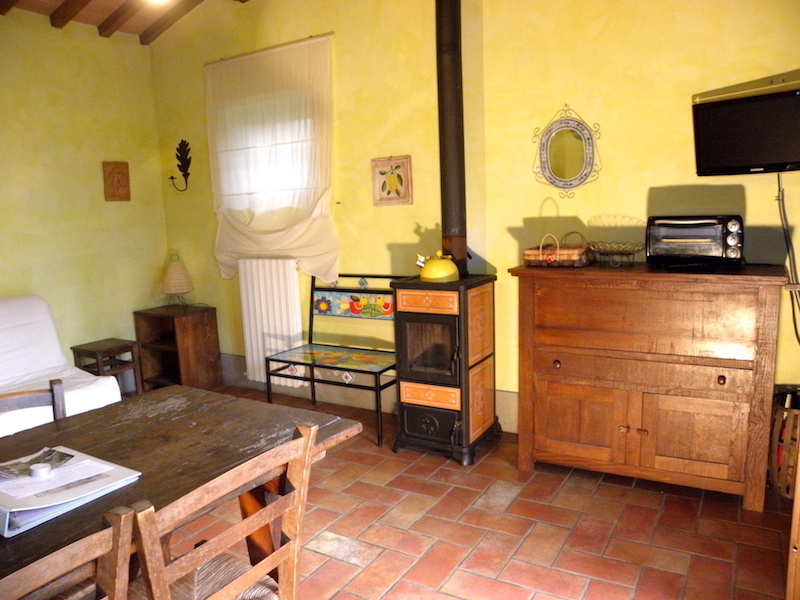 The kitchen is in brick and covered with blue tiled, there is a wood burning stove in living room, one double bedroom with in bleached wood and fitted wardrobes, bathroom with shower, sofa bed, wifi (sleeps 2 +2). 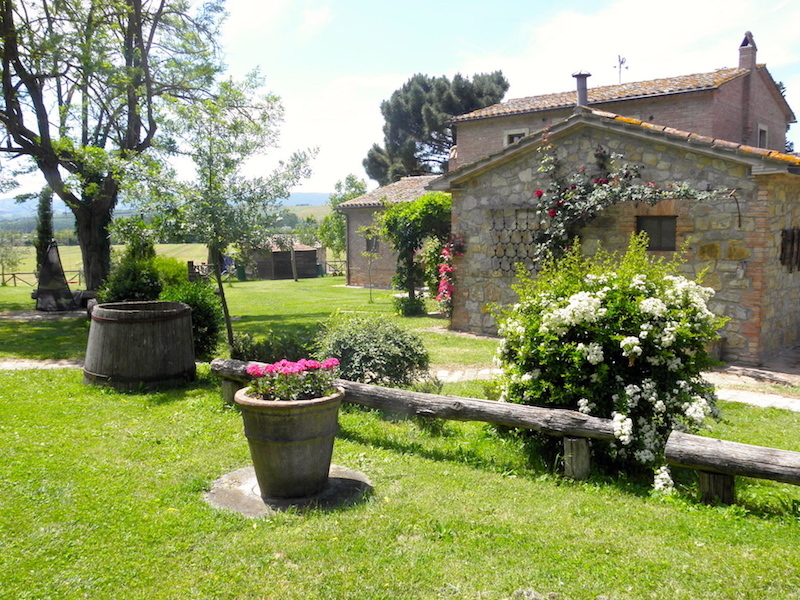 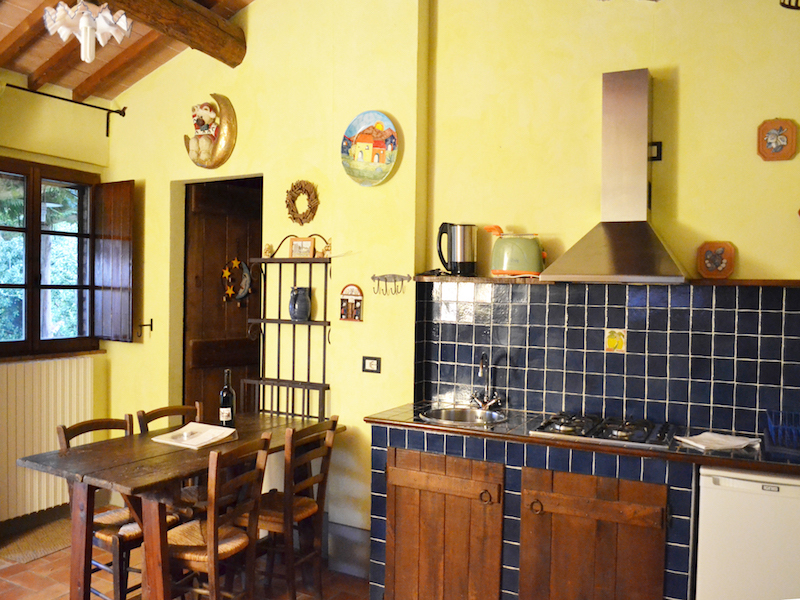 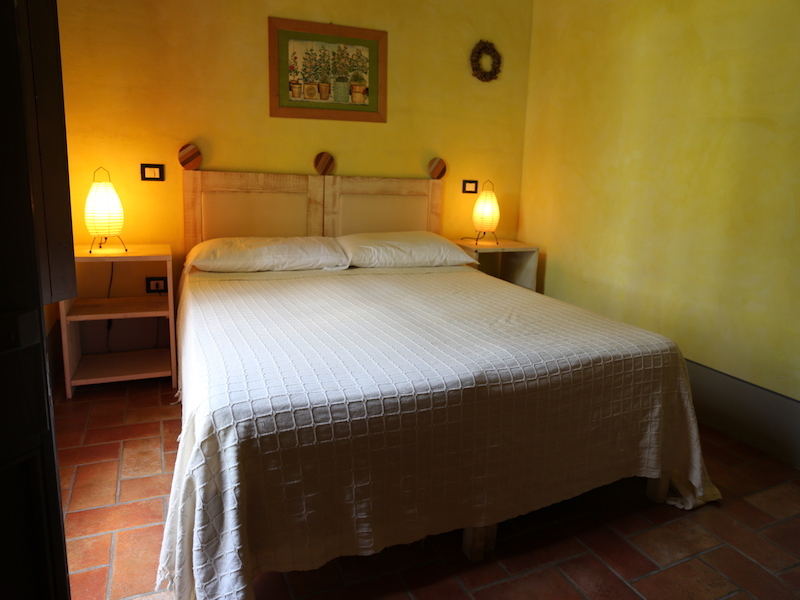 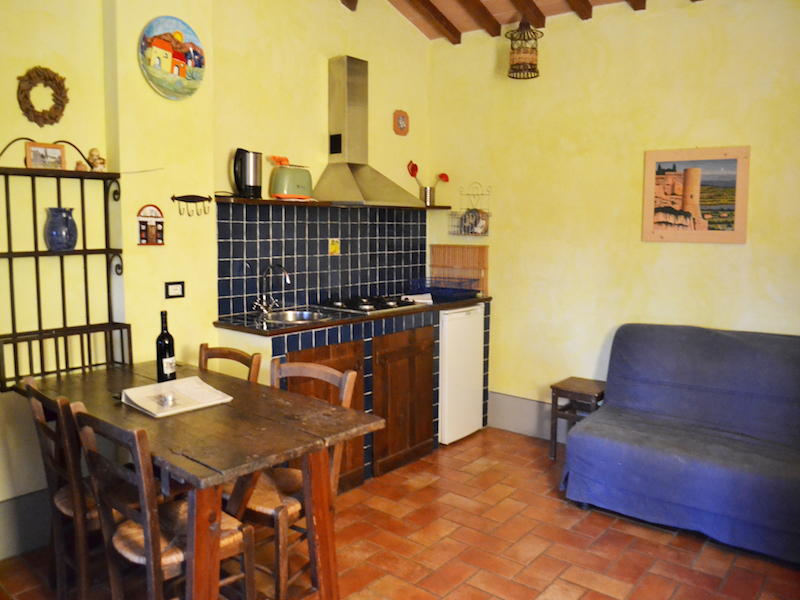 It has a private location, and the panoramic view of the countryside and our organic orchard. 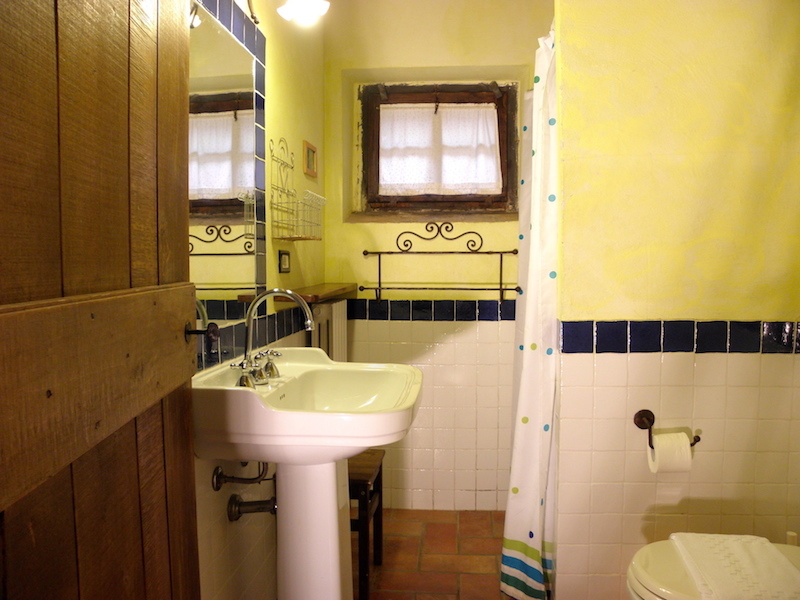 The paintwork of the walls are made with the technique of sponging and are lemon-yellow. 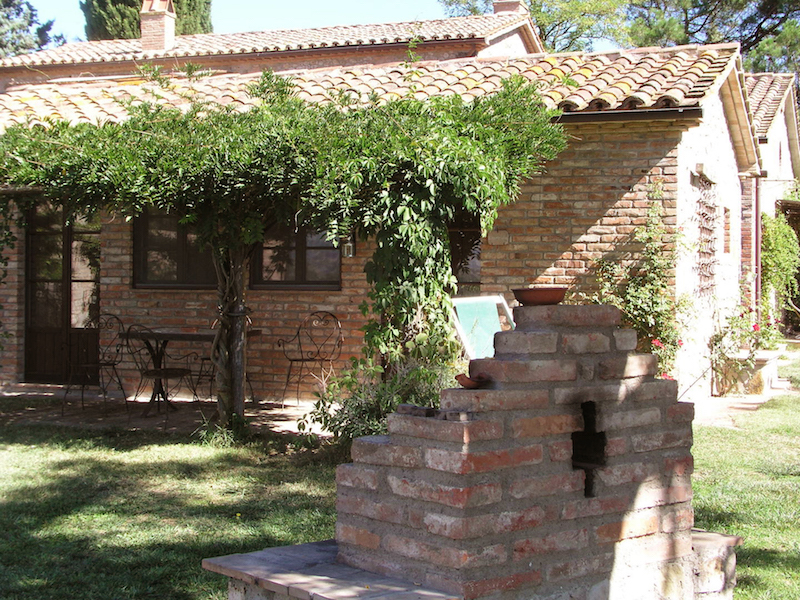 It is the smallest house but it is the most romantic.